Congenital spondylolisthesis can be directly present before birth or might be set into motion by structural issues that are present prior to birth, but worsen as the patient matures. Therefore, congenital listhesis conditions can be classified as occurring in babies that are born with existing vertebral slippage or babies who are born with (most often undiscovered) structural abnormalities of the spine which will dispose them towards developing listhesis as they get older and are subjected to ever-greater stresses on the backbone. Congenital spinal abnormalities can take many forms and range in severity from very clinically significant to basically unnoticeable except under the most scrutinous observation. Likewise the listhesis they produce can also range from barely existing grade 1 migration of a single vertebral bone to grade 4 slippage of multiple vertebrae. This important topical essay examines the occurrence of congenital-related listhesis conditions. We will explore the types of structural changes that might incite spondylolisthesis, as well as detail some of the more common case profiles involving congenital spinal defects. When spondylolisthesis is discussed, it is usually assumed that it occurs at L5, as this is the most common anatomical location for it to exist. However, this is a major assumption, since listhesis can occur at any vertebral level, although there are some which are more commonly observed and others that are virtually never observed. Besides L5, L4 is also a typical location for listhesis to occur. In the neck, the vertebral bones from C5 to T1 all feature the possibility of developing listhesis conditions. Other locations are possible, but are usually related to highly case-specific circumstances involving injury or significant spinal abnormality in the region. In primary forms of congenital listhesis, the shift in typical vertebral position has already commenced prior to birth. In essence, the baby is born with spondylolisthesis, although many cases are not diagnosed immediately and some are not discovered until much later in life, if ever at all. Children born with listhesis span the entire gamut of grading, with most being minor to moderate cases, while some are classified as more significant severe to extreme varieties. Primary listhesis can be caused by a lack of proper strength or closure in the pars interarticularis, as well as a genetic elongated design to the pars interarticularis. Often, both conditions are present in the same individual. Although fracture has not occurred, the vertebral bone is provided an expanded range of motion due to the structural abnormality and therefore tends to slip forward, creating anterolisthesis in most instances. In some children, the pars is not fully formed at all and may contain an open section that leads to full grade 4 listhesis early in life. 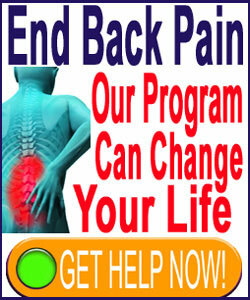 These circumstances might be related to spina bifida, severe congenital scoliosis or other idiopathic reason. This variety of vertebral slippage is called isthmic spondylolisthesis, since it involves atypical formation of the anatomical isthmus of lamina called the pars interarticularis. Other types of congenital defects can affect the facet joints, where the vertebral bones attach to one another. Generally, these conditions are more self-limiting than pars-based listhesis, but this is not an absolute rule, especially in cases of poorly formed joints that do not link correctly, if at all. This type of congenital listhesis is generally considered dysplastic vertebral migration. Dysplastic types of listhesis can also be linked to spina bifida and general atypical formation of the vertebral bones. Secondary spondylolisthesis due to congenital defects is not present from birth, but is developed directly due to causative factors that were inborn. There are many unusual structural issues that can be present in the fetal spine. Some of these abnormalities might be known prior to birth and some might not. In fact, many doctors speculate that like scoliosis, a large percentage of developed listhesis should actually qualify to be called congenital secondary cases, since it is the defects in the spine that formed prior to birth that eventually led to the vertebral migration later in life. Typical defects mirror those of primary listhesis, but often are not as severe. 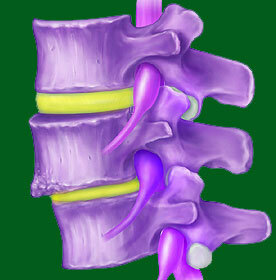 The pars interarticularis is usually fully formed, but thinner and weaker than in a typical anatomy. Facet joints might demonstrate small abnormalities that dispose them to pathological forms of degeneration earlier in life. Ligamentous tissues might be genetically coded to suffer injury or deterioration that may contribute, as well. Secondary congenital listhesis might occur regardless of circumstances in life or might only present itself upon some trigger causing the vertebral bone to actually slip forward, such as an injury or RSI condition in the affected region of the backbone.